Weights & dims for guidance only & may vary according to application. 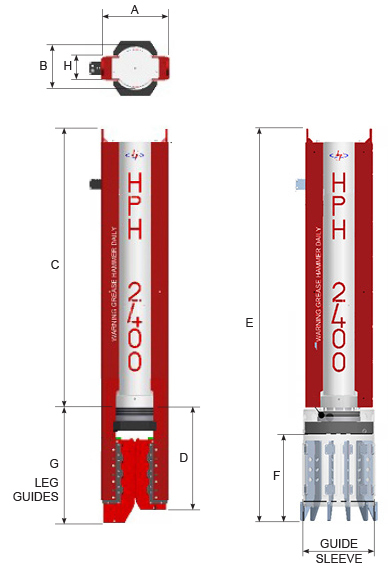 Hammers can be leader mounted & configured for most pile types. Please contact Dawsons for further information.